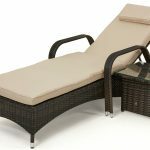 This stylish single sun lounger looks amazing, and is comfortable too. 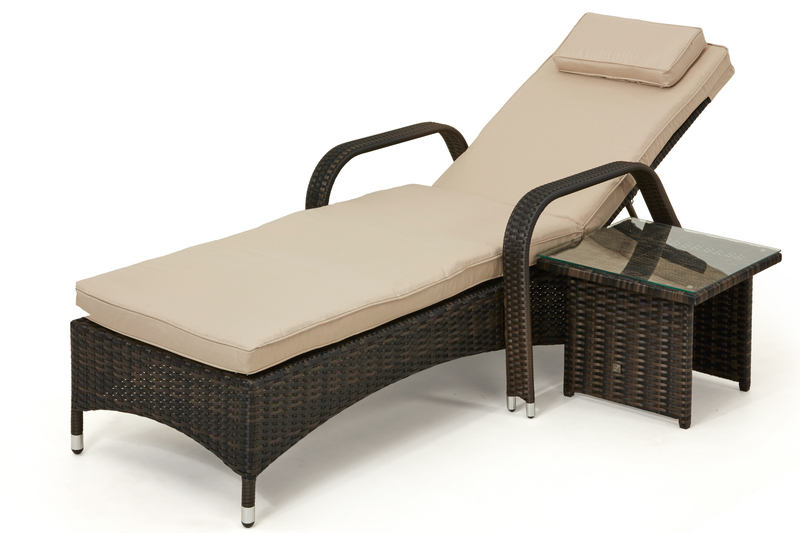 The Florida Sun Lounger has a slight arch and adjustable back to ensure that you can enjoy the sun in supreme comfort. By adding robust wheels to the head we have ensured that you can face the sun no matter what position it is in. 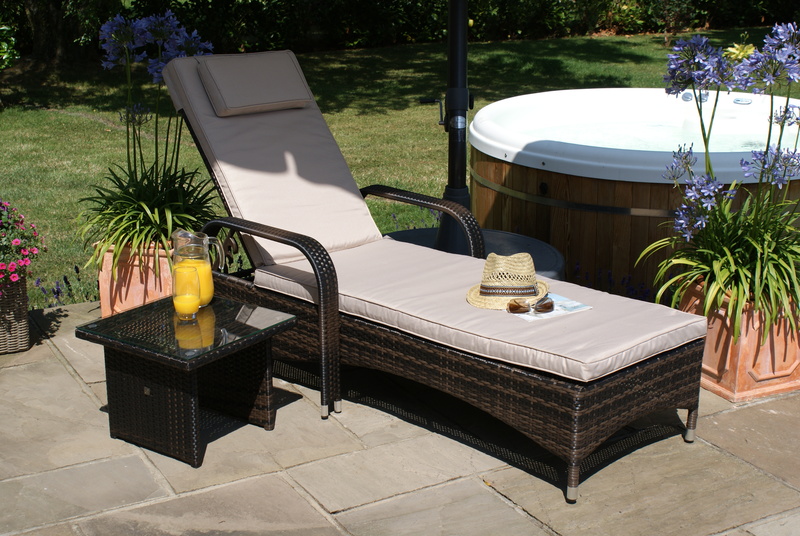 With our luxurious cushion included, as well as the matching side table, there are few better ways to enjoy summer. The Rattan Flat Weave is a sleeker, more modern approach to classical styled furniture. The smoother surface makes it perfect for the sharp, clean lines used in this design. By mixing in darker tones the flat weave achieves a depth of natural colour, offset perfectly by the corresponding grey or beige cushions. All our cushions come with removable, washable covers, although it is recommended to store them inside overnight. As with all of our products, it is made from the highest quality material, woven onto a powder coated aluminium frame that ensures its use all year – even through the harshest weather. This is why we can offer a 5 year guarantee. Also, no cover is required for your rattan products – it is beautiful, why hide it away?